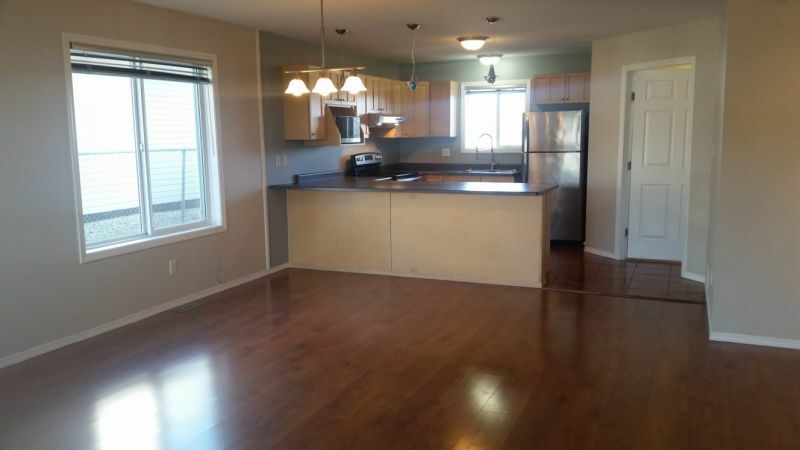 Bright, spacious duplex near North Peace Secondary School and Duncan Cran Elementary School! 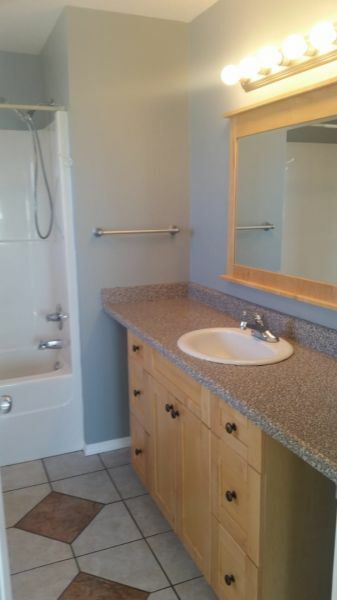 Newer building, freshly painted interior with three bedrooms and two full bathrooms, large living room and kitchen, laundry room, and 6 closets for storage. 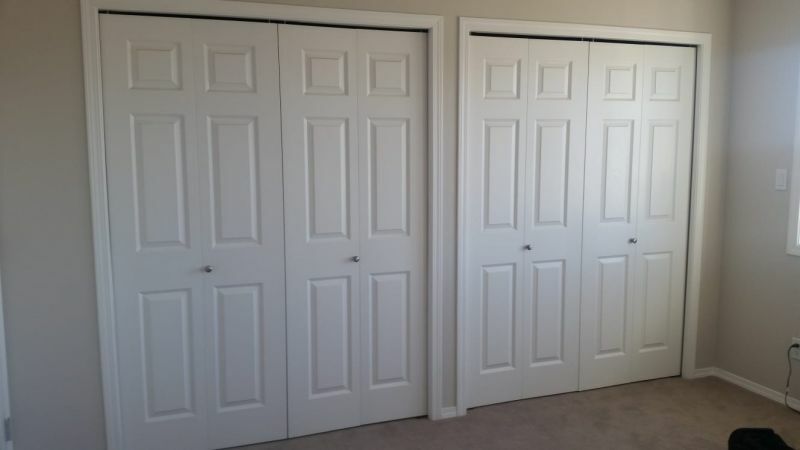 Master bedroom has a walk-in closet and full ensuite bathroom, and all rooms have plenty of natural lighting. 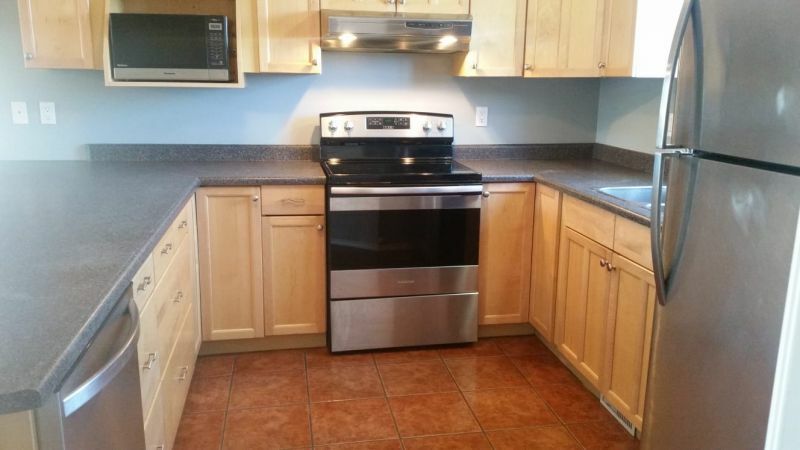 Stainless steel kitchen appliances include a dishwasher, stove, fridge, and microwave. Hardwood flooring downstairs, with carpet upstairs. 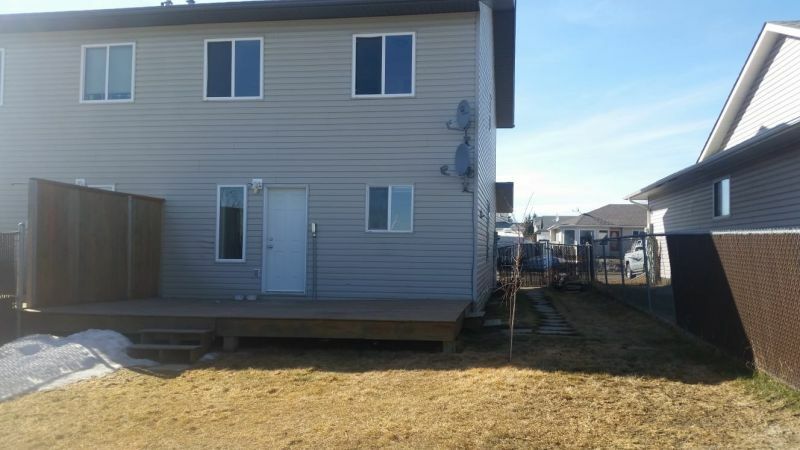 Large fenced backyard with a patio plenty big enough for summer BBQ's and gatherings, plus a covered front porch. Quiet neighbourhood, with ample parking for two vehicles. 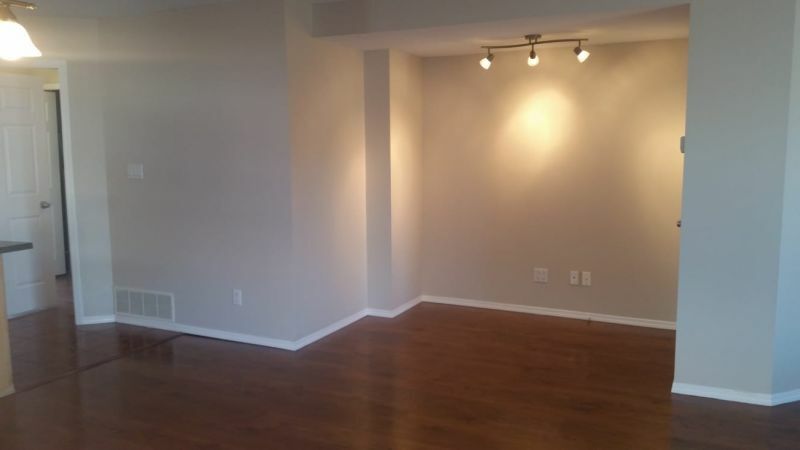 $1,700/month with a 1-year lease, or $1,800/month on a monthly basis; plus utilities. Contact Judi for more information or to book a viewing!